Owning a house is on top priority in everyone’s wish list and having a property in Mumbai adds to the owner’s pride, status, and confidence. Mumbai, the entertainment and commercial capital of India, is a wonderful city. The property in Mumbai is a great investment option and will fetch you handsome returns in the future. The key attributes that have led to the fast and furious growth and development of the city include well-developed infrastructural facilities, easy connectivity, quality education, steady returns on investment, and the city offers plenty of options in all segments of realty spaces. It acts as a magnet that attracts people who move to this city to fulfill their dreams and desires. The mega metropolis city offers innumerable employment options to the people relocating to this place. Several redevelopment projects have picked up over here in order to cater to the increasing housing demand. Many top-developers are announcing their pristine developments in Mumbai and adjoining areas. One such locality is Nahur. Suitably lying between Mulund and Bhandup, it is a North-Eastern suburb of the city. The soaring property prices in this area have led to immense growth and development, thus changing its realty landscape. It is also a station on the Central Railway main line. The area is very well-linked to the other important parts of the city via an extensive road network through Eastern Express Highway on the eastern side and LBS Marg on the west. One can also reach the place from Bhandup Station from either side. The Nahur village is set up in Mulund West, approximately 2 kms away from the railway station. 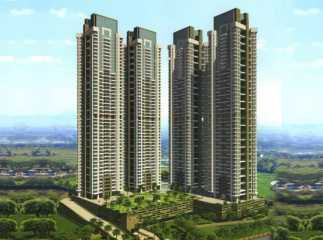 So, all those who are looking for property in Nahur, Mumbai, Ashford Royale is a wonderful option worth consideration. Packed with best-in-class amenities and reasonably priced, the property offers its residents an enhanced living experience.